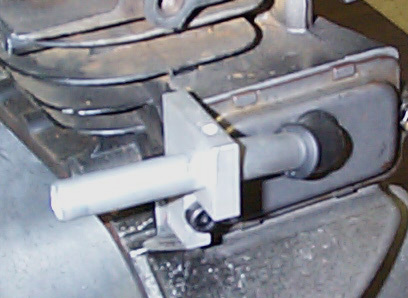 The HDM Oil Tube Adaptor mounts directly to the rear of the block as shown above in the picture to the left. We have removed, the tank, header, and carburetor for clarity. With this adaptor is makes it much easier to connect your over flow vent tubing to the 5hp Briggs race motor. 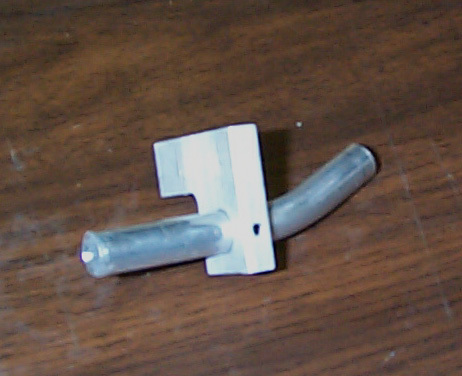 This adaptor comes with the mounting block, aluminum tube, and setscrew as shown in the picture to the left. Don't forget to to order your vent tubing as well.